Daniel Huber and Alessandro Maggioni meet in Berlin in 2013. They share a playful approach to technology and curiosity to combine analog and digital media. They collaborate in projects for museums and festival, and in 2016 they found Badaboom Berlin, where they create installations and interactive tools. In their work technology is a framework that allows free espression of creativity. Drawings, sculptures, any object enters magically in the installations, and the surprise involves kids and grown-ups in the creative process. They research and collaborate with museums, theaters and festivals. 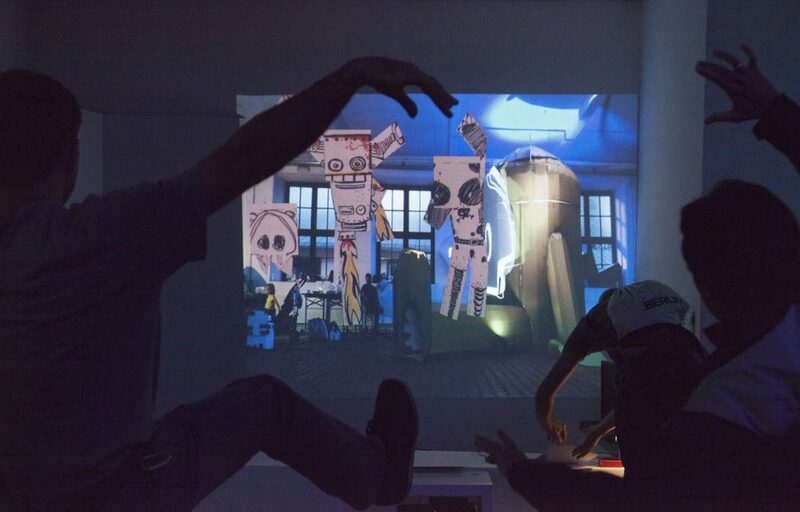 They regularly give workshops in schools, media art events and universities.